Squeezing in an extra hour in the morning is one of the most effective ways to fit a workout into your day. Maybe you’re not a morning person, and the idea of waking up in the dark to swim laps or head to the gym sounds like pure insanity. If this is the case, ease yourself into a new schedule by setting your alarm half an hour earlier each week until you’re getting up a 6 a.m. The best part about working out in the morning is that it sets the tone for the rest of the day, and there’s no chance a last-minute client request will get in the way. Find a few friends or colleagues to join you on a biweekly bike ride or hike in order to stay honest and motivated throughout the year. This positive form of peer pressure is a proven way to encourage people to perform and follow through on their commitment. For example, if you’re scheduled to meet a personal trainer or friend at the gym at a certain time, you’ll be more likely to go. And while I’d never recommend anyone to enter such a major commitment just for the exercise, adopting a dog will force you to get outside for a walk or run every day. 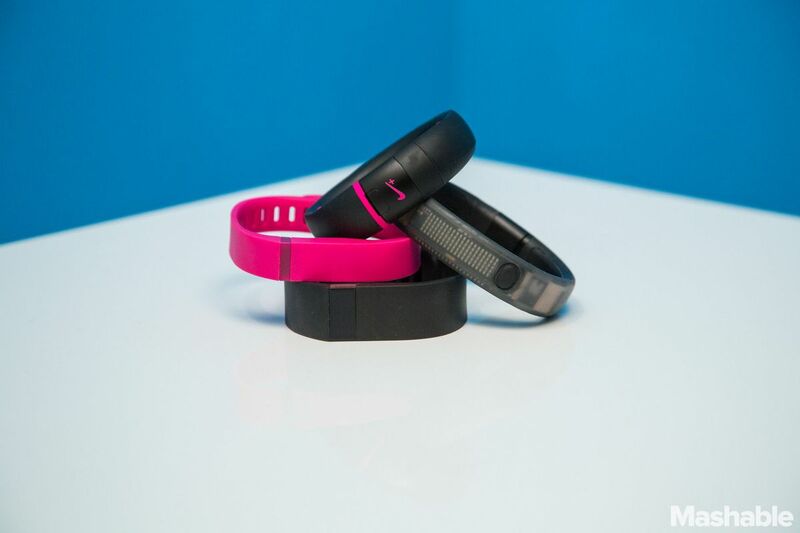 If you work from home and don’t have a big group in the office, try tracking your activity with a device such as the Fitbit Force or Nike Fuelband. In addition, there are many mobile app games, such as Zombies Run or Fleetly to help keep you motivated. Surely you’ve heard about the growing research indicating that sitting for eight hours each day can shave years off our lives. In response, standing desks, treadmill desks and exercise balls are rising in popularity in offices everywhere. If you’re not quite ready to stand or jog while working, there are numerous exercises you can do at your desk during a sedentary day. Get up and walk, even at the office, for about 5-10 minutes every hour. Click here to see 20 exercises, including simple stretches to boost circulation as well as more complex strength-building exercises. Likewise, do whatever you can to be more active during the day. If you have to drive instead of walk, park farther away from your destination and take the stairs instead of using an elevator. a 30-minute walk may not be sufficient, but it’s always better than sitting at a desk. You’ll also get the mood-enhancing benefits of sunshine, fresh air and a change in scenery. You most likely meet with clients or contractors over lunch in a café or conference room. But, you could opt for a low-key fitness activity, such as golf or a walk in the park, to discuss business matters while being active. Of course, you never want to spring this type of plan on anyone; make sure your client is comfortable with the idea. And who knows, maybe you’ll discover you have a mutual interest, such as rock climbing, kayaking or cycling — and your client may be just as eager to sneak these activities into his or her schedule as you are. The most important thing you can do is treat your workouts like any other appointment. You’re not going to break a commitment to a client, so don’t break a commitment to yourself either. Schedule each workout into your smartphone and make it non-negotiable. You don’t owe anyone an explanation why you’re unavailable during that time.